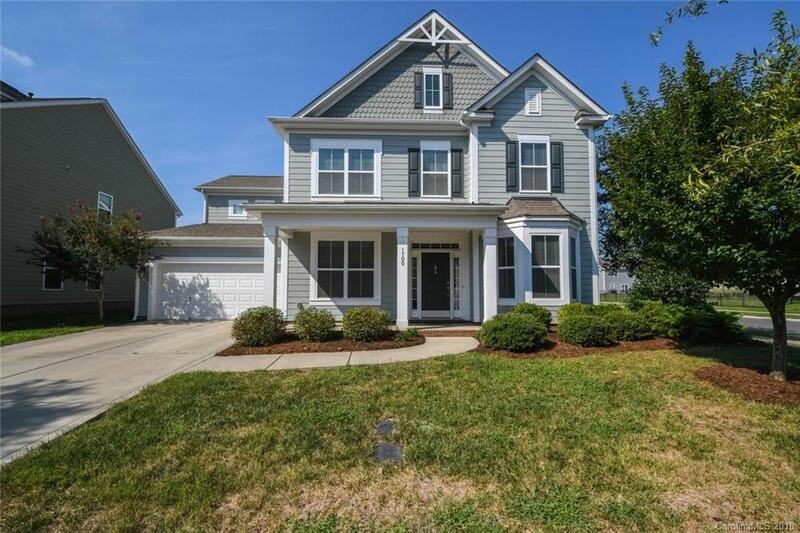 This home has all the features you are looking for- 5 bedrooms and 3 full baths including guest room on main floor, plus study or main floor play room, large 2nd floor bonus room/bed 5. Master suite includes trey ceiling and spacious closet! Gourmet kitchen features double oven, hardwood floors from foyer through kitchen and breakfast area, oversized island open to great room with gas fireplace, and lots of natural light! One owner home is move in ready and exceptionally priced in popular Millbridge. Corner lot showcases level yard, full irrigation and sidewalk. Walking trails lead to all the amenities including clubhouse, theater, fitness and pools. Energy Star Certified- Home Warranty provided, Top rated Schools- Welcome Home!